This postcard comes from Elizabeth @ Retinal Perspectives. 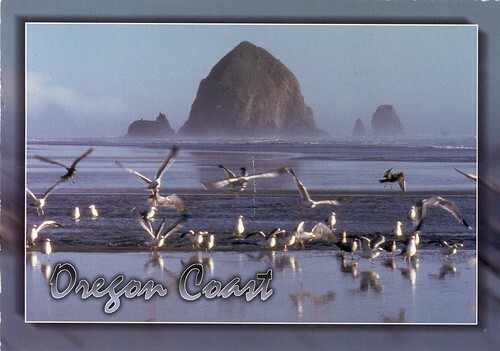 I was delighted to trade postcards with her, especially since Oregon's coast intrigues me. It reminds me so much of Big Sur, and I hope that I'll go to Oregon's coast one day as well. The above photo is a sample of what you'll find at Retinal Perspectives. but of her adorable weimy appropriately named Atlas. Stretching 362 miles (583 km) from the city of Astoria to the California border, the Oregon Coast is unique in that the entire coast is public land. Oregon law prohibits private ownership of coastline property. Another one of my most favorite bloggers happens to reside in Oregon as well. and how it came to be preserved, I will point you in her direction to learn more. The Oregon State University website has a section with current and historic photos. Oregon's visitor site was also fun to visit for more information, click here. And let's not forget Elizabeth's Oregon coast category of photos, here. Wow, what a glorious tribute to the Oregon Coast! Thanks for the mention and for the other interesting links where we can learn more about this special place. 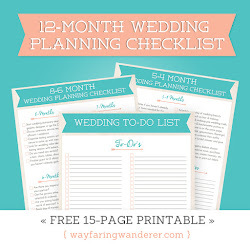 I'm anxious to visit Elizabeth's blog! Great links. I've seen the Oregon Coast and it is breathtaking. The Oregon Coast is amazing. I drove part of it one fall, on my way to Seattle. It was far more dramatic & rugged than I was used to. I guess I am going to have to break down and visit Origon. I will check out her site too. I had no idea that a state could pass such a law, that's terrific! Beauty for everyone, and not only for the rich and famous. i admit when i saw your postcard i thought you were here! if you do come jessica.... i would love to have tea/coffee/whatever :) your friend elisabeth has beautiful photos and they truly represent what the coast is like. it doesn't need any enhancement. I've been telling my family that I'd like to visit Oregon and Washington. It's such a breath-taking part of our country. I agree … the Oregon coast is spectacular! The images and information you’ve shared ‘mesh’ with my own experiences visiting the area, but I prefer to live in a warmer climate … just because. I’ve shared some ‘foggy’ local views in my Sky Watch/Haiku Friday post at Sacred Ruminations this morning. It certainly does look like a beautiful part of the world. I'm so glad to see Elizabeth's photo and her blog being promoted. She does great photos. If you ever do get to Oregon, drive north and come visit Washington, too!